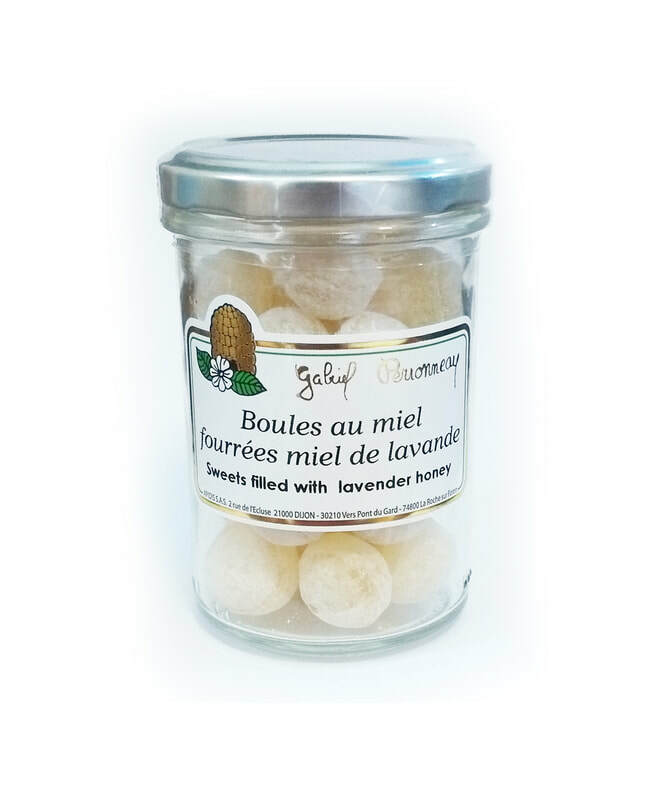 Hard candies on the outside stuffed with liquid French lavender honey. Beekeepers since 1890, Apidis has produced honeys for over 140 years. Cane sugar, glucose syrup, lavender honey 16%. Let these delicious candies melt in your mouth or crunch right through to the sweet honey.